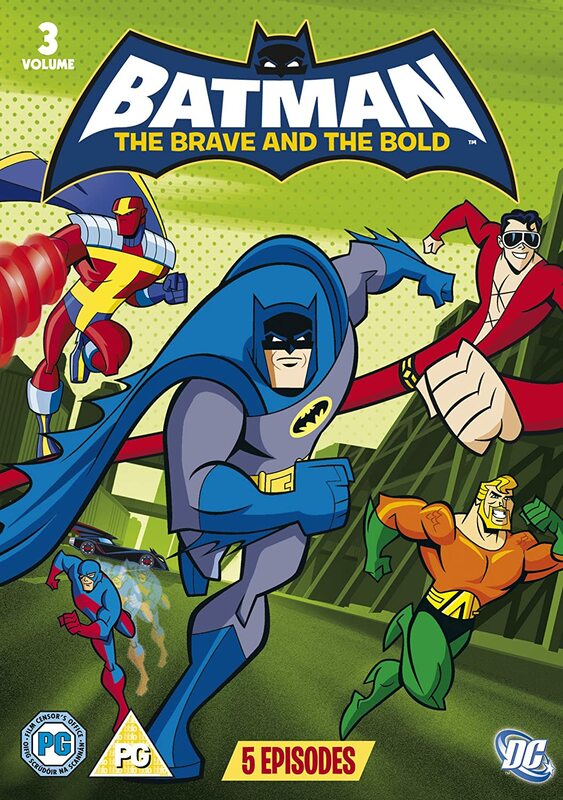 There’s a gloriously meta moment in the back half of this season of Batman: The Brave and the Bold where the show’s producers are raked over the coals at Comic-Con. One of the twentysomethings in the crowd grouses and groans about how the Caped Crusader in the cartoon isn’t his Batman, and…well, he’s not wrong. DC’s comics anymore are joylessly grim and gritty…22 monthly pages of misery and scowling and torture and dismemberment and death and high collars and way too much crosshatching. 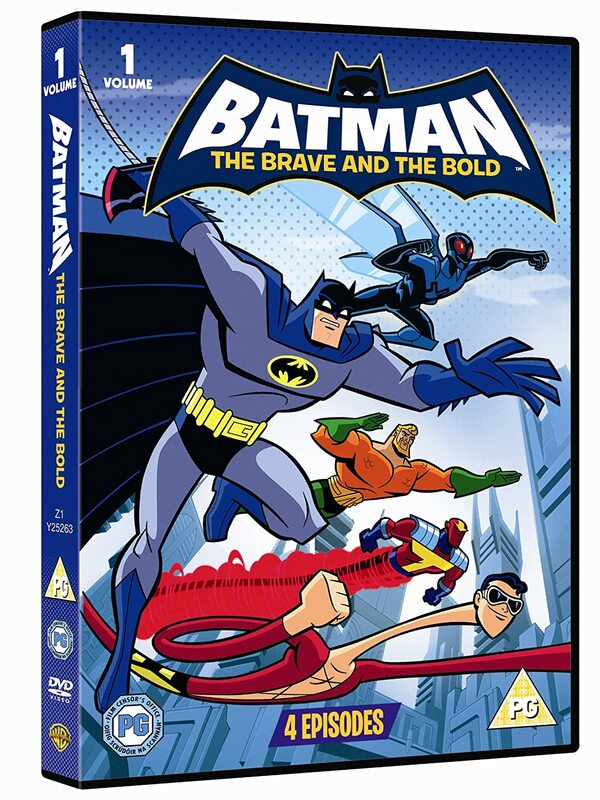 Batman: The Brave and the Bold, meanwhile, is defined by its vivid colors and clean, thick linework. It’s a series whose boundless imagination and thirst for high adventure make you feel like a six year old again, all wide-eyed and grinning ear to ear. 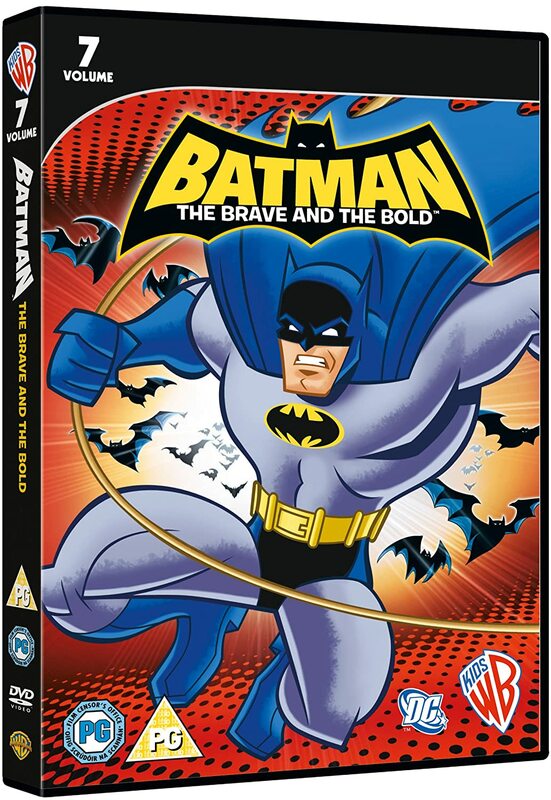 You know all about The Dark Knight’s war on crime, and in The Brave and the Bold , he’ll duke it out against any badnik, anywhere. He doesn’t go it alone, either, with every episode pairing Batman up with at least one other DC superhero. Heck, to keep it interesting, The Brave and the Bold shies away from the obvious choices like Superman and Wonder Woman. Instead, you get more interesting team-ups like Blue Beetle (more than one, even! ), Elongated Man, Wildcat, Mister Miracle, Kamandi, and B’wana Beast. Other animated incarnations of Batman have been rooted in something close enough to reality. Sure, you might have androids and the occasional Man-Bat, but they tried to veer away from anything too fantastic. The Brave and tbe Bold has free reign to do just about whatever it wants. One week, maybe you’ll get an adventure in the far-flung reaches of space with a bunch of blobby alien amoebas who mistake Batman for Blue Beetle’s sidekick. The next might offer up Tolkien-esque high fantasy with dragons and dark sorcery. Later on, Aquaman and The Atom could play Fantastic Voyage inside Batman’s bloodstream, all while the Caped Crusader is swimming around in a thirty-story walking pile of toxic waste. He could be in a Western or a post-apocalyptic wasteland or a capes-and-cowls musical or even investigate a series of grisly something-or-anothers alongside Sherlock Holmes in Victorian England. Batman has markedly different relationships with every one of those masked heroes. There’s the gadget geekery with an earlier incarnation of the Blue Beetle. With the younger, greener-but-still-blue Beetle, Batman takes on more of a mentor role. More of a stern paternal figure for Plastic Man, and a rival for Green Arrow. Sometime it might not even be the most pleasant dynamic, such as a decidedly adult Robin who doesn’t feel like he can fully step outside the long shadow that Batman casts. There are some really unique takes on iconic (and not so iconic!) DC superheroes here, and far and away the standout is Aquaman. This barrel-chested, adventure-loving braggart is my favorite incarnation of the king of the seven seas, and if Aquaman ever scores a cartoon of his own, I hope he looks and acts a lot like this. Oh, and The Brave and the Bold does a spectacular job mining DC’s longboxes for villains too, and along with some of the familiar favorites, you get a chance to boo and hiss at the likes of Kanjar Ro, The Sportsmaster, Kite Man, Gentleman Ghost, Chemo, Calendar ManKing, Crazy Quilt, and Shrapnel. 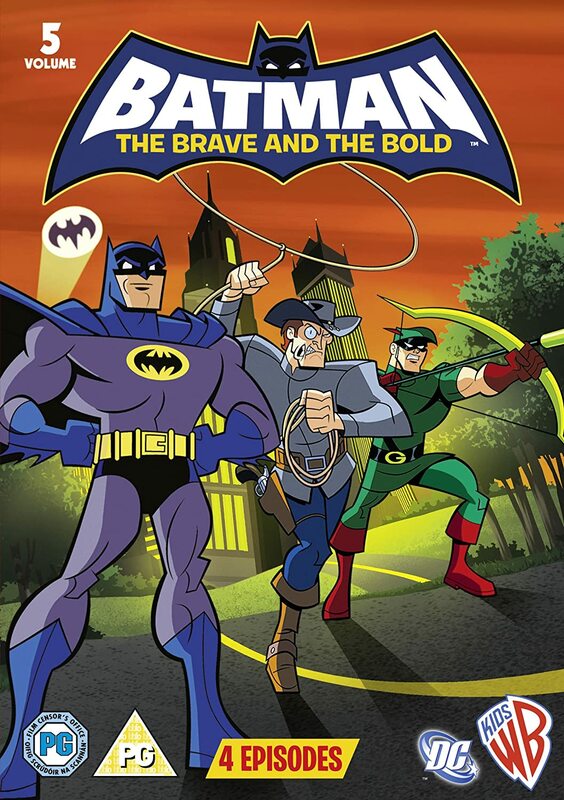 The Brave and the Bold delivers its own versions of Toyman, Vandal Savage, and Libra while it’s at it, the latter of whom has the closest thing to a season arc that the series inches towards. 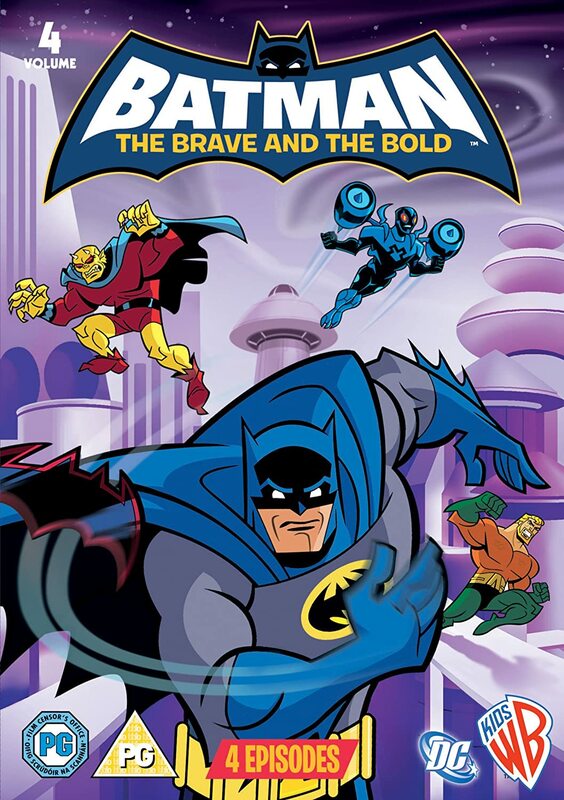 Batman: The Brave and the Bold is every bit as fun and thrilling as you’d expect from a series where every episode’s title ends with an exclamation point. Each installment is fat-packed with action, and the series has a knack for piling it on in ways I never saw coming. 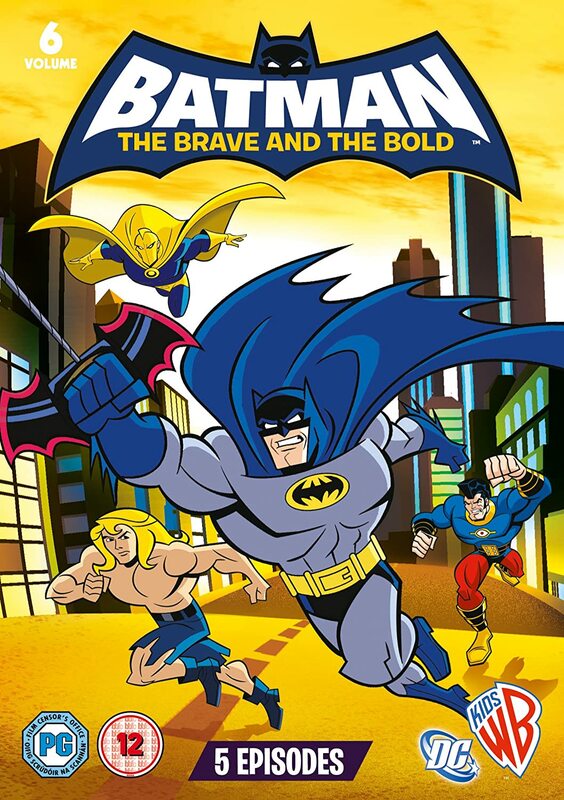 Even with as imaginative and off-the-walls as The Brave and the Bold can get, it still sticks to its own internal logic, so the numerous twists, turns, and surprises are all very much earned. The majority of the episodes have a cold open not related to the remainder of the episode. 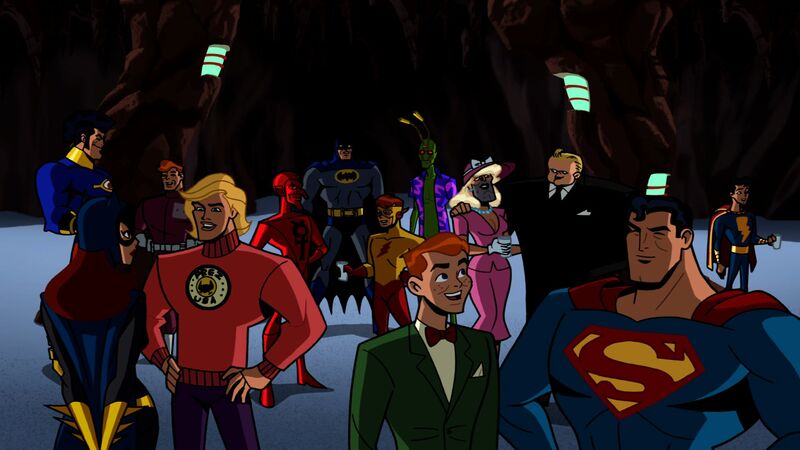 Despite its episodic nature, if you’re expecting a big storyline in these 26 episodes, you’re going to be pretty disappointed as the extent of an overarching story in the season is the occasional villain that appears more than once, like Starro, but that’s really the only connecting bridge between episodes. 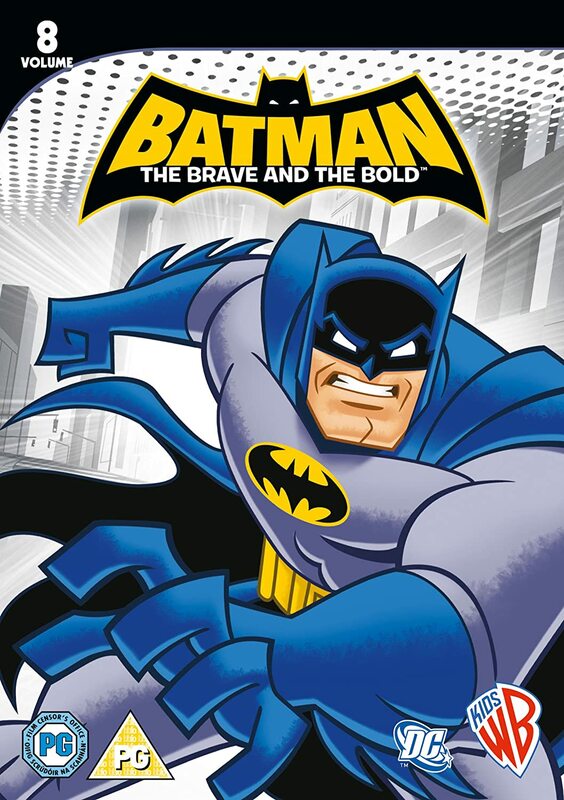 Season 2 contains one of my favorite episodes of not only this particular season, but probably in the entire series, “Chill of the Night!”, which goes back to Batman’s origins as Bruce Wayne learns more about the man who murdered his parents, turning him into the crime-fighter he would become, it’s one of the most well known origin stories in media, ever, but it’s done so well here. Another reason I love this episode is my blinding nostalgia for the voice cast. The original 1960’s Batman, Adam West, guest stars as Batman’s father, Thomas Wayne, while Julie Newmar, who starred opposite of West as Catwoman from the original Batman TV show, plays Batman’s mother, Martha Wayne. My favorite Batman of all time, theatrical or not, Kevin Conroy, the voice of Batman from Batman: The Animated Series and various other series/movies/games, voices the Phantom Stranger. 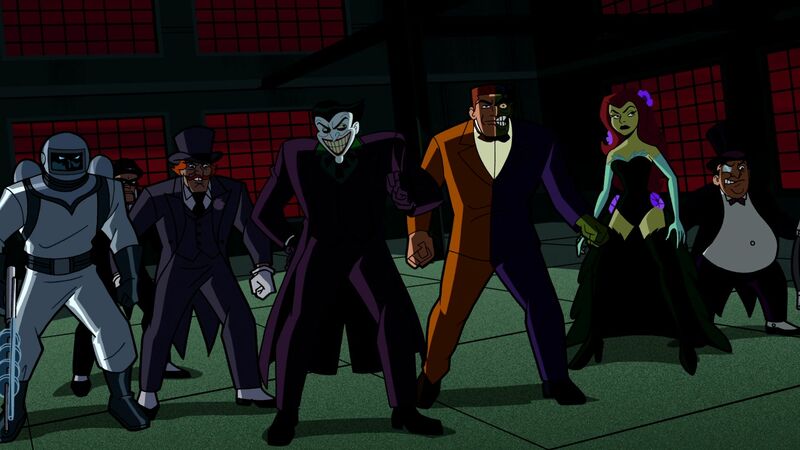 Lastly, the baddie of the episode, The Spectre, is voiced by none other than Mark Hamill, the definitive voice of the Joker. The Episodes in season 3 are wildly imaginative; so much so that purists will probably be put off, at least initially. 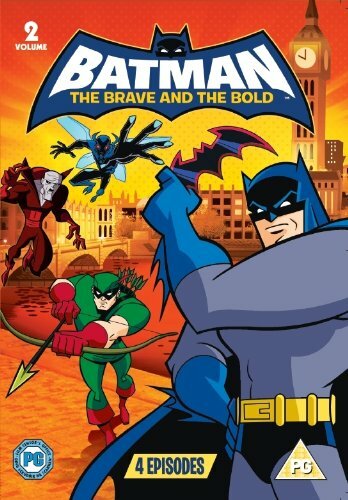 They range from “Night of the Batmen”, where batman is incapacitated and it is up to Aquaman, Green Arrow, Captain Marvel, and Plastic Man to don the cowl, and keep gotham safe. As weird as that may sound, this episode is pure fun, and a joy to watch. Other stand outs are the never before seen in the states “The Mask of Matches Malone”, “Shadow of the Bat”, “Scorn of the Star Sapphire”, and “Powerless”. Special mention has to be made of the final episode of the series however, “Mitefall”. In this meta episode, Batmite does a fantastic job breaking down why the series is ending, and the disconnect of the so-called “purists”, whose baseless, closed minded, ignorance eventually doomed this excellent series. When all is said and done, we received three outstanding, and criminally underrated, seasons and it is a joy to see.